The connection? No, it wasn't all that difficult to figure out. In fact, I had fun with it. It's just like the matching type examinations in school, way back when. I appreciated the mystery and the hint of suspense, of course. It's one aspect of fiction that I thrive in. And even if I did figure out early on that Melina Marchetta was actually narrating two stories - one from the past, one from the present - and that they will eventually tie up in the end, I enjoyed reading this nonetheless. 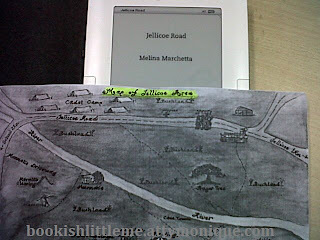 Jellicoe Road is a heartwarming story about friendship, family, love, death and loss, coming to terms with life's trials, and the ties that bind ~ all the important things that transcend time, space and distance. It's what I truly appreciated about the novel. The author begins the story with something just a tad trivial - territory wars - and then comes out strong in the end with all the stuff that matter. The first half is a meandering mess, but the storyline builds up somewhere in the middle so that by the time you get to the second half of the book, you'll be so hooked you'll be unable to put it down. :) Unfortunately, much as I would like to expound on my observations, I highly doubt that I could give an accurate description without revealing too much of the plot, and we really don't want that. Like Kazuo Ishiguro's Never Let Me Go, this book is highly spoilery (is there such a word? ), and I don't want to be the one to kill the fun. The writing wasn't exceptional, but I liked its simplicity and straightforwardness. The characters? Well, there were times when I thought Taylor Markham was such a drama queen, but then I try to put myself in her shoes, and while I know I can never relate to her, I think I can comprehend where all the angst was coming from. Jonah Griggs would never be a "literary crush" in a million years, but he is perfect for Taylor, and they sincerely deserved each other. Everyone else - Raffaela, Chaz, Hannah, the Brigadier, etc. - were secondary personalities that helped build and shape Taylor's character. The Great Reveal - well, more like Great Reveal in Installments - didn't shock me as much as I thought it would, however. I think that I read through the chapters more for the purpose of confirming what I already know, and it didn't really blow me away. Still, it tugged at my emotions; the realizations and acknowledgments in the end broke my heart, and I appreciated people's histories and how these can change lives, in a major way. 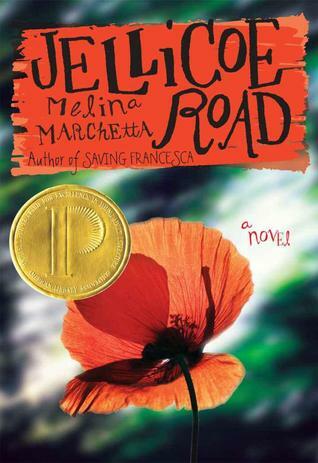 Because, more than anything, Jellicoe Road is Taylor Markham's journey to self-discovery, and the story of acceptance of the people around her.